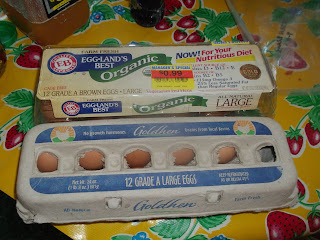 Eggland's Best vs Boulder Belt Eco-Farm. Notice we reuse cartons and do not spend money for fancy plastic cartons and a label, a couple of sustainability points for BBEF! But crack the eggs open and we see a world of difference. the pale egg with the runny white is the EB egg; the deep orange egg with the white that has structure is the Boulder Belt Eco-Farm Egg. Why pay $4.00 for a pale egg, devoid of much nutrition (despite the claims on the carton, I wonder how often they test their eggs to make sure their claims hold water?) 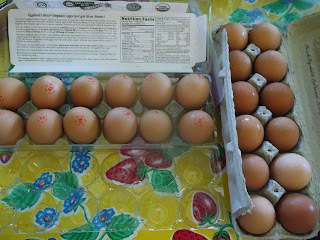 when fpor a buck more you can get a dozen eggs that really are what they say they are? 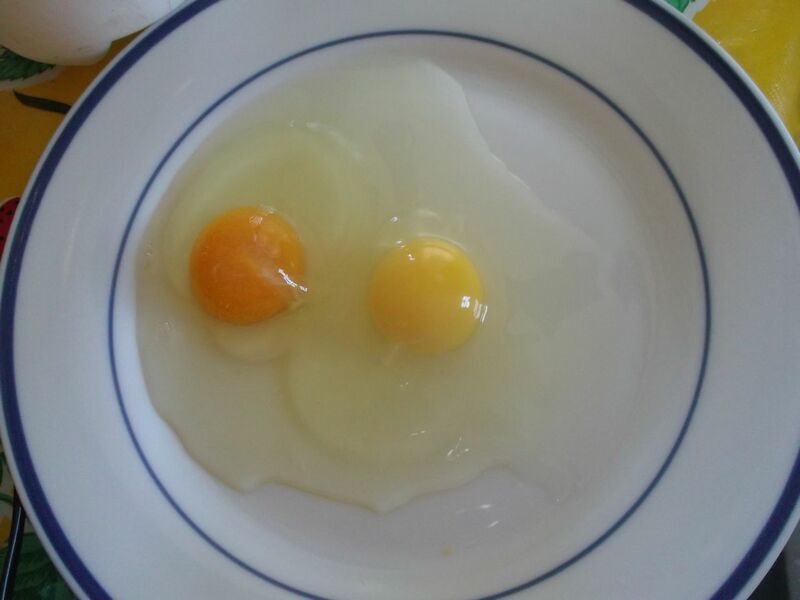 Egg SMACKDOWN! And it's no contest: Boulder Belt wins! Excellent! We also reuse old cartons. 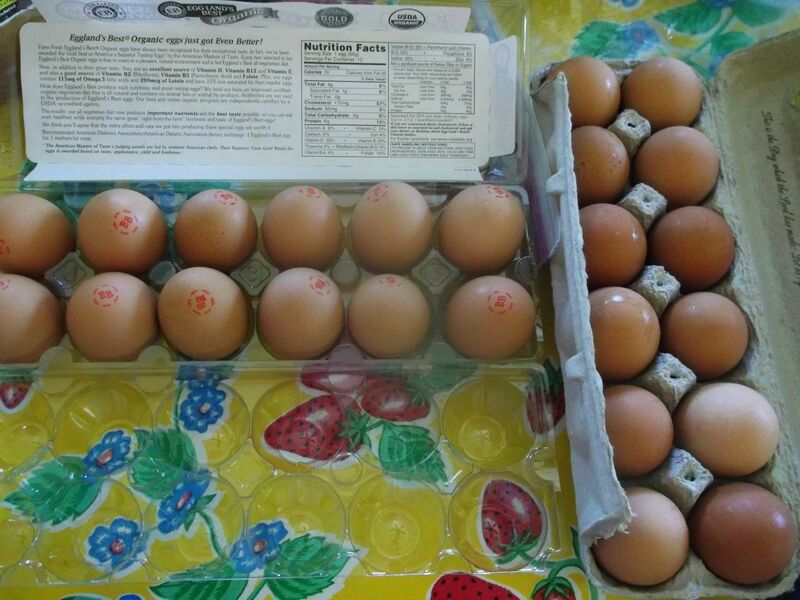 We just started finally started getting eggs from our Leghorn. still waiting on the others. I will definitely have to try this to show personal friends (and prospective clients...) the difference! THANKS!